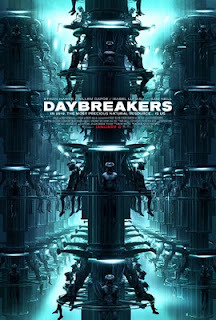 Daybreakers is a science fiction horror film, that of the vampire genre. There are no werewolves this time, only vampires and humans. The movie is set in a future where vampires are the majority population in the world, while the few remaining humans are under hideout. Humans captured by vampires are put in labs, where their blood is taken up as the food source for the vampires, much like in The Matrix. However, an increasing vampire population and dwindling blood supplies also reveal that the vampires deprived of blood for extended periods of time will mutate into savage and aggressive bat-like creatures. Ethan Hawke stars as Edward, a vampire hematologist who refuses to drink human blood and tries everything to come up with developing a blood substitute. At the same time, the vampires attempt to increase their soldier task force in order to hunt down more humans. The movie has just enough action and gore (but not excessive) to have a "bloody good time." Ultimately though, the film falls short of memorable quotes, characters, and scenes. 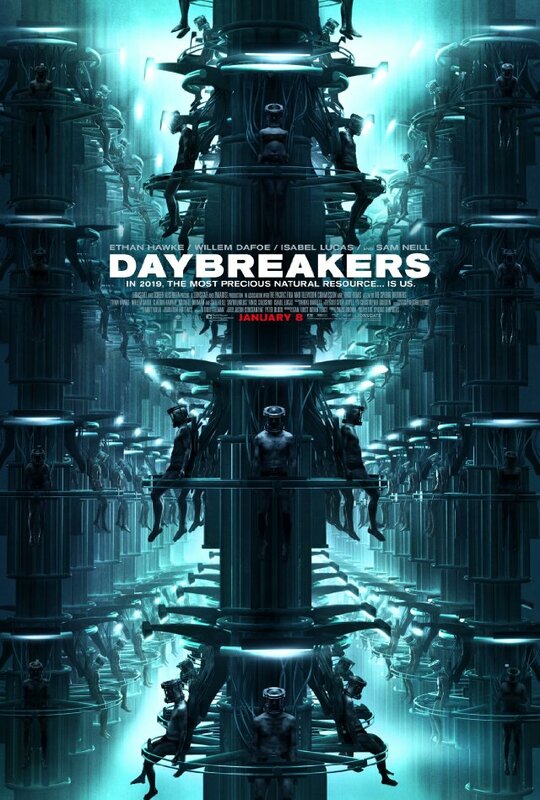 It fares better than the average Hollywood movie and if you know what you expect, the film will not disappoint.